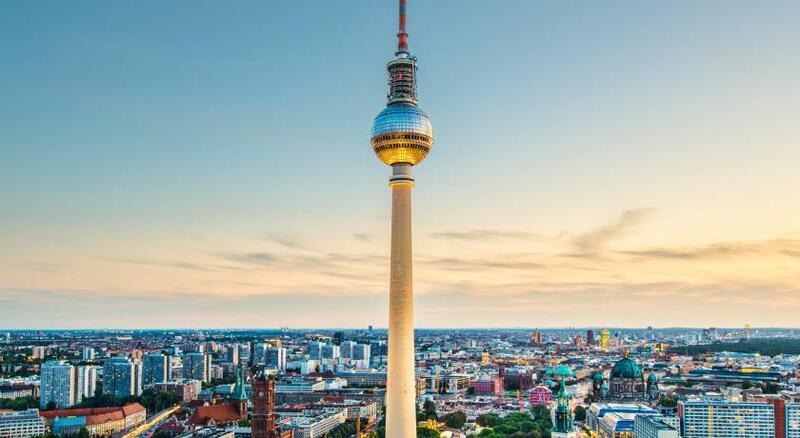 Lock in a great price for Motel One Berlin-Hackescher Markt – rated 9 by recent guests! Hotel is in very good location, just 1 minute walk to the train station and lots of restaurants within 100 meter square. Great location for everything I wanted to do in Berlin! This is a great hotel in an excellent location. The rooms are small but efficient and as others have noted the shower is outstanding. 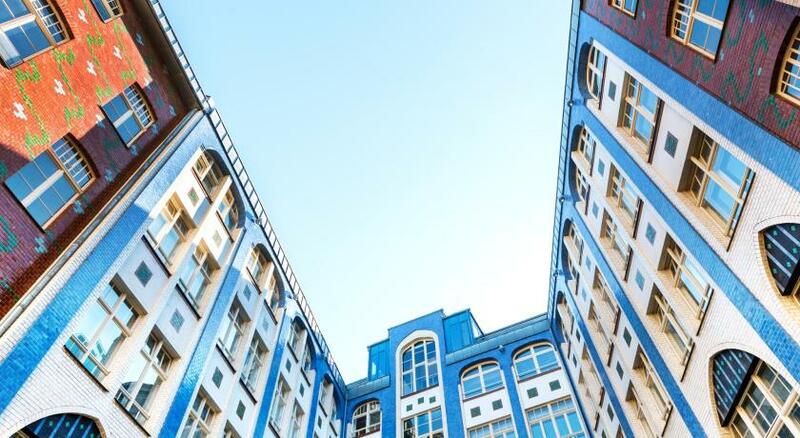 A great location for exploring Mitte. The hotel is quiet even though it is close to the rail line. Location great. Welcome friendly & efficient. Latte from the lobby bar was delicious. The cafe next door serves wonderful food. The bathroom is a miracle of space efficiency with a great shower. The hotel is very modern and well designed. Comfortable and in no way pretentious. Fast and efficient Wifi with high capacity underlying broadband. Breakfast adequate and good, if not excellent. The location is amazing. The staff were very helpful and attentive. The breakfast was very good and good value for money. Great location. Very close to Alexanderplatz. And bus to and from airport is only about 50 m away. Simple clean room and very nice breakfast. The staff, very friendly and helpful evertime, all they could do for you it's done by them. Also, the room is cleaned everyday in the mornings leaving it in the same way that you found it when you did the check in the first day. 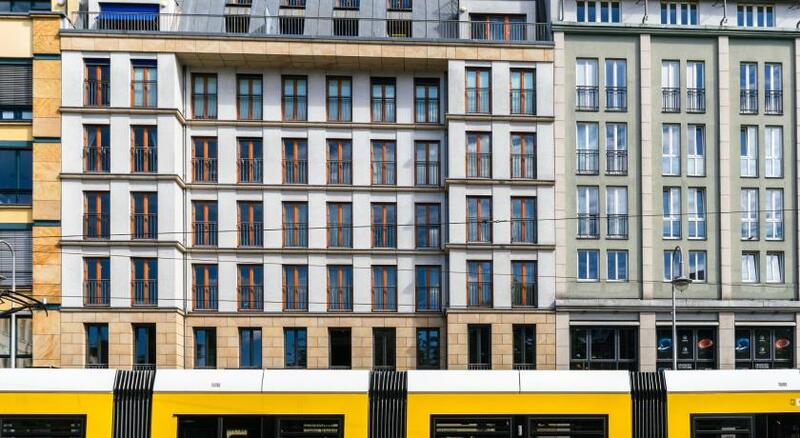 Super location in affordable price, next to Alexanderplatz and all public transport in 150m walking distance. Motel One Berlin-Hackescher Markt This rating is a reflection of how the property compares to the industry standard when it comes to price, facilities and services available. It's based on a self-evaluation by the property. Use this rating to help choose your stay! 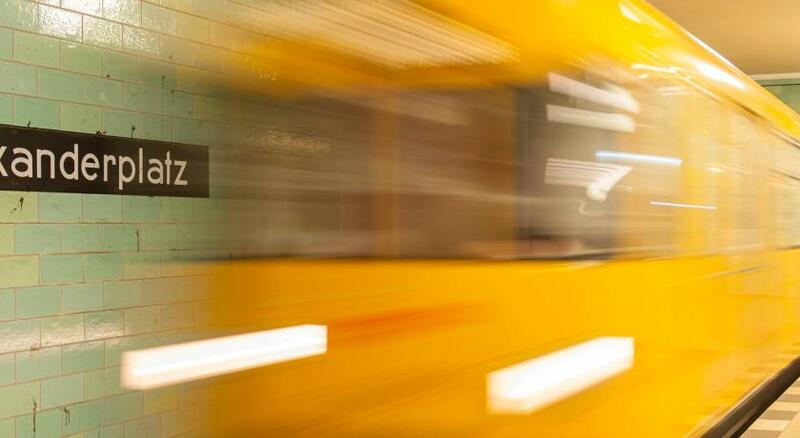 The transport services of the Alexanderplatz square are just a 2-minute walk away from the Motel One. A direct bus connects you to Tegel Airport in 35 minutes and regional trains go directly to Schönefeld Airport. When would you like to stay at Motel One Berlin-Hackescher Markt? Room has a flat-screen TV, air conditioning, and a private bathroom with hairdryer. House Rules Motel One Berlin-Hackescher Markt takes special requests – add in the next step! Motel One Berlin-Hackescher Markt accepts these cards and reserves the right to temporarily hold an amount prior to arrival. Room should have at least a small refrigerator to keep drinks and other food items. Good location, very convenient. Staff were all so friendly & kind. Rooms could be a bit cozier. And when you showered, the entire bathroom floor got wet. Great affordable hotel in Berlin Mitte, friendly staff, modern interior and very clean! The rooms and bathrooms is small. Lobby and bar was really nice. I would like a safe and a locker. 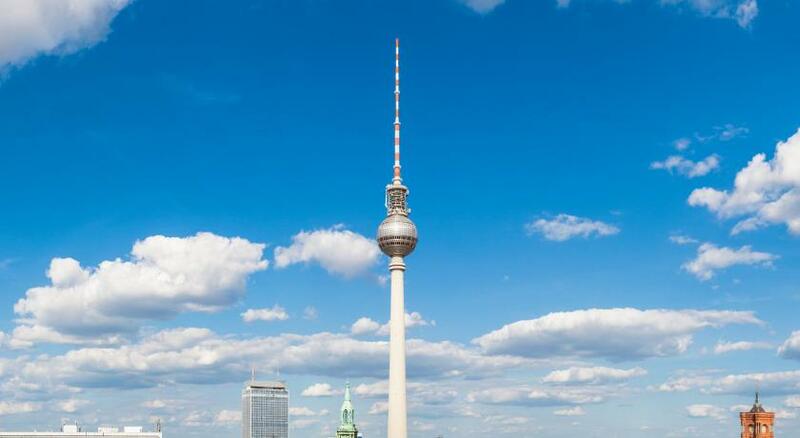 My room was very clean, it had a view at alexanderplatz and it was located directly in the city centre. Above that you can get from the hotel in 10-15 walking distance to every tourist attraction. Directly next to the hotel there is a subway/tram system that will take you anywhere in Berlin, the restaurants around it were very nice and stylish as well. We’ve stayed there for 3 nights, but our duvet covers were never changed while we stayed. It was just folded on the bed. I understand it would take extra time, water and detergent, but I want them to clean it once in 2 days like I personally do. Great location from Alexanderplatz station, which takes us less than 5 mins. You can find lots of department stores/cafes/shops easily and some of them are open until 11pm around the hotel. Even though we arrived there at 1030am, our room was already prepared so that they checked us in smoothly. Shower/sink/toilet were all clean and worked properly. Their hair dryer was adjustable strongness, which was very convenient. Great staff! Good vaule for money! Excellent location! 1) Breakfast had plenty of choices but did not have eggs and bacon that I have encountered on all my other trips to a corresponding category of hotels. 2) Also, without having to deal with the hotel, I should note that in the area in the evening there was a strong presence of police force (2 to 4 big van cars) and after midnight the metro filled up by homeless and strange faces that made you feel insecure in the area. We have always been a big company for security. 1) The room was warm and quiet. 2) The staff were very helpful. 3) The last night that I asked about the possibility of going to the airport, the receptionist responded comprehensively and printed to me, even without asking, the possible routes to the airport.